Having really enjoyed Cowra this Easter we decided to join Phil Burge, as he was travelling to Orange, to check and see if it was possible to put a weekend on like Cowra and Mudgee. We went to the Tourist Information Centre in Orange and got a few maps. We were pleasantly surprised by the Town Centre, as there seemed to be enough eating and drinking facilities for all tastes. We had a look at the map and decided to ignore the brochure from the tourist information and go to an area where there were no rides showing. Sure, the first bit was hilly but not too bad, and then we had to go on a dirt road. Willemina had left us some kms earlier to get a head start on the dirt, as we checked out an area a bit further. That also ended up in a dirt track, so we turned around and followed Willemina’s tyre tracks. We all had to walk at different times up or down the hills, because some of them were too steep for our skinny tyres. We then ended up in Lucknow and decided this was not a goer. After discussions at coffee we made our way to Millthorpe which was a much more pleasant way. After another coffee stop we made our way back to Orange. The original Millthorpe Loop is 50 kms and very enjoyable with undulations but nothing major in the way of hills. We decided to start from the official starting point and do a short detour and follow the Lake Canobolas ride that Willemina was going to do. We got hopelessly lost and abandoned the idea and decided to do the ride that was originally planned. The ride was lovely with some good undulations to Molong. Molong is quite a nice town with a few different options for coffee and food. We had a look around town and enjoyed a coffee before our return to Orange. I got the feeling that this area is being looked after by a different Council as the roads were much more enjoyable to ride on. On the return we encountered a couple of serious hills that made the ride quite challenging. Willemina in the meantime decided to follow the signs to Lake Canobolas, As she is what is known as geographically challenged, she tried to follow the maps and the signs that appeared after a few kms, but after another few kms got hopelessly lost. She did find Lake Canobolas in the end but made sure she asked for directions before she left. She was then going to follow two short rides around town as we had seen the signposts for them. Unfortunately, she managed to get lost again on one of them and then decided to try the one to the Botanic Garden. She did manage to do this ride almost all the way. On the way home we decided to do drive part of the Panuara Loop and Tallwood Loop to make our way to Millthorpe for our coffee. It was a lovely scenic area to drive. 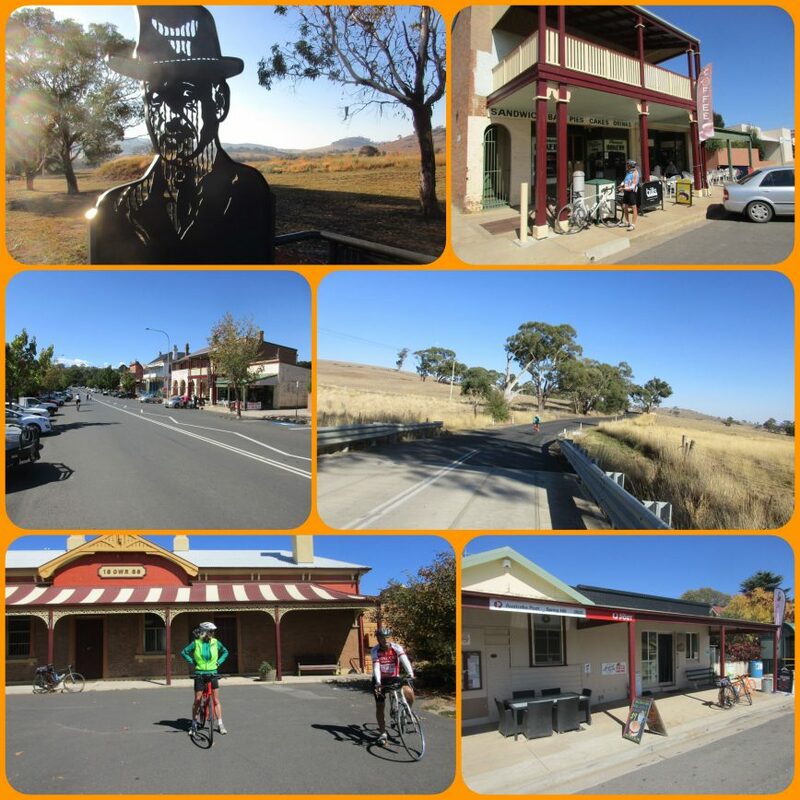 After cycling in Cowra I am very pleased to report that we did not see any of the “cat-eyes” as experienced in Cowra. Orange Council provides a booklet *Do It Ride Orange Guide* which also has files that you can download to your Strava. We will certainly go back to Orange to do some of those rides again.